Huh? 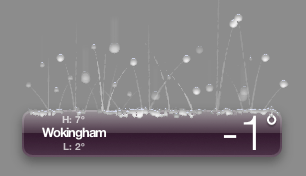 My weather widget showed this the other evening. Note how the current temperature is lower than the day's minimum - surely that would make the current temperature the minimum? I guess AccuWeather.com isn't so Accurate.